Is your basement that one place you dread even stepping foot in? Your basement may be unfinished and uncomfortable now, but it doesn’t have to stay that way! 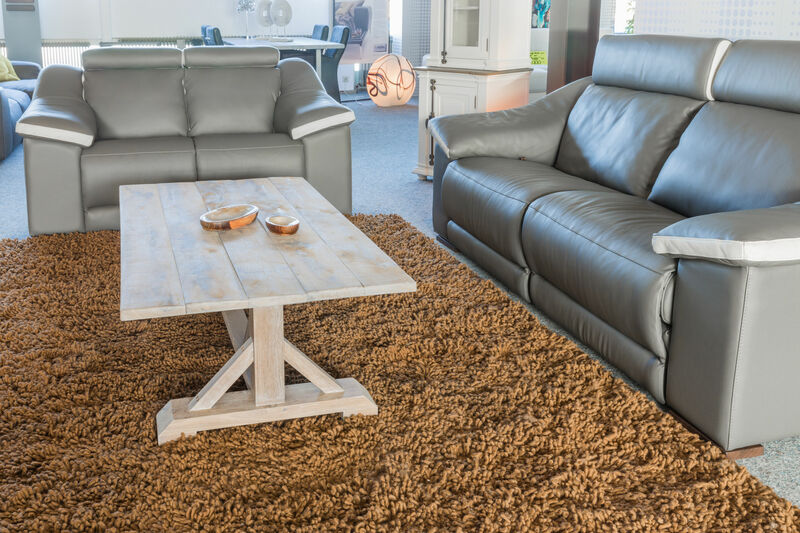 If you’re looking to make it a space that your family isn’t scared to use, we have it all covered for you! There are some simple tricks to help you make your unfinished basement look finished and create an inviting place for your friends and family to gather. First things first. How do you conquer those cold and dark cement walls? The answer is actually very simple. Give them a few coats of paint and you are well on your way! If you really want to brighten the space, a bright white is the perfect color for this. Or you may want some neutral tones to give it a homey appearance. If the kids are taking the basement over, you can always give it a bold pop of blue or yellow for them to enjoy. The options are limitless! Think about what the basement will mainly be used for, then choose your color based on that. 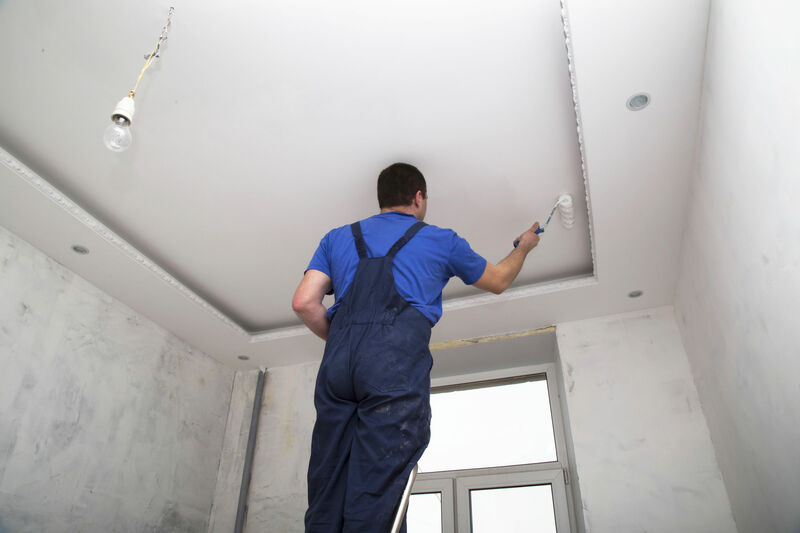 Before you start putting the paintbrush to work, patch up any cracks or holes in the walls. Since this part of the house is underground, moisture issues are fairly common. You cannot just choose any paint, there is specific type needed for this job! Look for a label that says something along the lines of “basement concrete sealer” or “waterproof”. Now time to round up the family and get to work! Painting is much faster and more enjoyable with others. Don’t you hate having to put socks and shoes on before you venture into the cold dirty basement? This problem can be easily resolved! Something as simple as adding a large area rug to the room. If you end up going with a simple color on the walls, this is a great way to add a pop of color or design! The options for styles, sizes, and colors are endless for whatever the space may be used for. Another great option is to add rubber or carpet tiles. Due to the flexibility of these tiles, it is easy to cut and lay them to cover more floor space! You will also have plenty of choices when it comes to design and color to match your room perfectly. Since the basement is a place where water may sneak into, there are waterproof tiles available as well! I’m glad you asked, there are quite a few tricks for this as well! For an industrial look (which is the trend these days) keep the duct work exposed! Who knew that this popular style would make things so easy for you? Just pick a color that goes well and paint the entire ceiling! If you don’t like the idea of painting the ceiling, no problem! Use some garden strand lights to hang from the ceiling. This will lighten up the basement in a different way. You can also use some decorative floor or table lamps for extra lighting in the space. Having plenty of light will warm up the space and make it more inviting and cozy. Congrats! You have made your unfinished basement look finished. Now all you need is to add some furniture! Decide what the space will be used for, then add some chairs, couches, and tables accordingly. Find some pillows that match and make it feel nice and cozy in a room that use to be dark and dingy. Now, you have everything you need to make your space look and feel welcoming! Enjoy the beautiful space you created and forget that you’re even in your basement!